The #TCP2016 Forum used innovative and creative methods to bring concrete examples, share methods, practices across sectors, and experience the local realities of innovation and social entrepreneurship face-to-face during the field visits. There were several opportunities for participants to interact and contribute to the #TCP2016 Forum objectives. Workshops were led by experts and participants selected during the application process. Likewise, good practices, innovative methods, tools, and learning experiences on how to overcome obstacles were offered a space on the stage for showcasing. Open space was available to everyone for a structured brainstorming so as to tackle not only pending topics but also to facilitate networking and project building among participants. The three-day #TCP2016 Forum was structured around participatory activities, such as round tables, open space, presentations by national and international experts, workshops on specific topics, and field visits. Introduction in kick starting a social enterprise. How to get your idea off the ground. What are the challenges? What are the barriers? What do you want to achieve? Introduction to fundraising, campaigns, supporter engagement and telling your story. How the Bar Black Sheep coffee shop came about community coffee shop with crowd funding (£50,000 from 3,000 people) and how Black Sheep Collective works. 1) Small organisations have to self-starting and to self sufficient as governmental and public funding is dwindling. What you do with the profit matters and there is no such a thing as 'non-profit organisation'. 2) Mechanics and benefits of crowd funding and how to start and continue a social enterprise. 3) How to share your stories and ideas from the beginning via active use of social media and engage with people. The short presentation by Danny Quinn around video clips about the coffee bar, interviews with the initiators, crowd funding pitch page. The delegates were asked to put any questions anytime during the presentation that turned into some delegates sharing their stories related to the topics. The delegates then became interested in the entire collective business re: profitability, a range of projects and decision-making process. The delegates were given a template to turn their ideas into a social enterprise, which was used when starting Blacksheep Collective. 1. Importance of beating/knowing the competitors in the area, by focusing on USPs (e.g. products, values, conversations, use of Suspended Coffees). 2. You should not work alone but work with other organisations/people and pool the expertise and skills together and keep a flat/non-hierarchical structure within your Social Enterprise. 3. Give funders what they are interested in (e.g. big funders are interested in numbers rather than individual stories). 1) Broadcast consistent and simple message in order to reflect what the community needs and keep the community engaged. 2) Importance of self-sufficiency, a sense of equal ownership of the social enterprise amongst workers/staff, and creativity. Informative workshop and very engaging and approachable workshop leader. Shame about poor internet connection and lack of speakers. Developing Social Innovation initiatives is a concept that involves multiple stakeholders, dozens “building blocks”, various types of resources and several service categories. The main purpose of this seminar is to review existing incubator/accelerator, models, and provide short assessment of their historical applicability, key contribution, performance and efficiency for social innovation purposes. Main topic: Conceptualization of social innovation. The sustainability of a social enterprise. Riccardo Maiolini contextualized the workshop with the presentation of a study about the Italian social innovation sector. The study focuses on the characteristics of the social innovation sector (state of arts, definitions, approaches, stakeholders. fields of action, geographic areas). The participants were free to intervene. They asked questions about the meaning of "social" and the business aspect. In the end, one of Riccardo's colleague, Andrea, briefly presented five different projects that have been supported by Italiacamp, whose objective is to bridge the gap between ideas and reality. The characteristics of social innovation according to the study presented during the workshop and the five examples of projects supported by Italiacamp are available in the Power Point of Riccardo Maiolini, that he will publish on TCP community website. Everyone has an idea/definition of what "social innovation" is, depending on his background, environment and perspectives. This workshop puts words and data on "social innovation meaning”, as well as examples. People attending this workshop can have the same common grounds to 1) precise or debate on the meaning and characteristics of social innovative projects, 2) get an holistic approach of the challenges (who? why? where? how?). This workshop provided the participants with a common framework, based on Italian context. During this participatory workshop, we will look into the backstage of the FabriK à DécliK, a “citizen expression festival” for young people taking place in France (Bordeaux and Lyon) once a year since 2015. Different structural aspects of such an event (the co-construction of the program and the communication strategy towards young people) will be experienced by the workshop participants! Main topic: During this participatory workshop, we looked into the backstage of the FabriK à DécliK, a “citizen expression festival” for young people taking place in France (Bordeaux and Lyon) once a year since 2015. Different structural aspects of such event (the co-construction of the program and the communication strategy towards young people) was experienced by the workshop participants. Explanation, different steps of the project, testimonial short movie. Concept of the event 3.5 days. Experience the creation process of the event Ideation workshop. Looking for a follow up system. Developing. A model to export the model. The idea of the festival and diversity. The transferability of the method. The co-construction and Needs analysis. Possibilities for international level. Pre-incubation. Format of the workshop and concentration of activities. Empowering young people, the three phases. In this workshop, we will explore what kind of market opportunities will yield the greatest amount of impact. Each entrepreneur will be able to work on their own Value Proposition: they will describe how their product/service solves customers' problems or improves their situation, how they delivers benefits, and they will be able to tell the ideal customer what makes their product unique. Bridge for Billions is the premiere online incubator for early-stage entrepreneurs. It enables quality mentorship and helps people to structure, develop, and refine their business. The democratized access to the entrepreneurship support worldwide. A well-defined path that supports the entrepreneurs. An innovative, online approache that helps people to transform their ideas into real projects. The workshop had one part that was more theoretical and another one that was more practical. It consisted of a simulation of the services that Bridge for Billions offers to its customers. A well-defined path that drives the customers from the idea to the start-up/small business. The mart matchmaking between the potential entrepreneurs and his/her mentor. The structure of the mentoring and the tools used for doing it. The workshop was really interesting and it offered the participants a different way of looking at the support services that could help them to create and improve their business. Kitchen is like an archive, where life experiences can be stored and shared, a laboratory where thoughts and emotions are intertwined. In the kitchen young and older people can together retrace the past and imagine the future. Fork in progress contrived cucina narrativa, a method for the food service, which transforms food in a catalyst of experiences. The challenges of the project have been discussed with people from different backgrounds and with different perspectives. The synergy between stakeholders and beneficiaries as well as the sustainability of the business model are both challenges that every social enterprise may face. Understanding one successful project (self-sufficient after few months) could help everyone to identify strengths and weaknesses in his own ideas/projects. Main topic: How Bridging to the Future has come about and sharing the experiences of developing and maintaining SLAM! model with a SLAM! leadership project for 18-years old as an example. How young people in school can understand the cycle of making profit and investing the profit back into the community with an appropriate model. 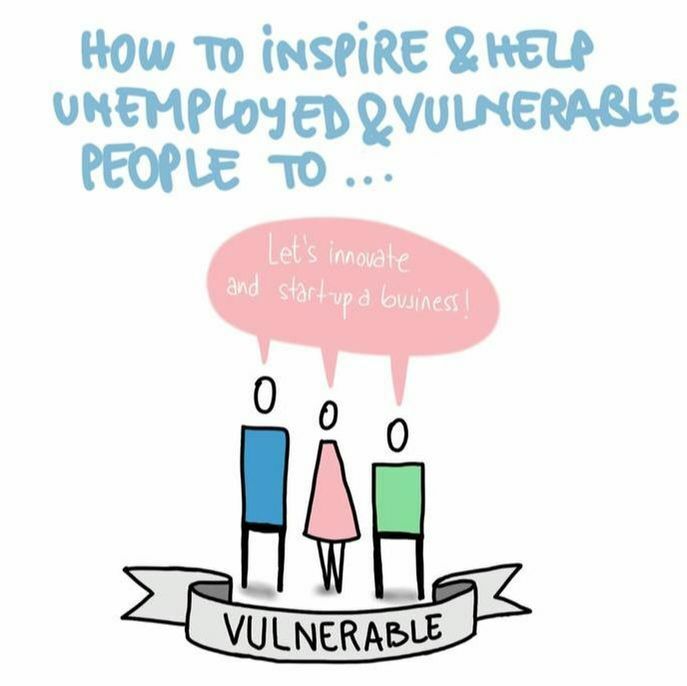 How to enable young people to run a business with relevant support so that they become empowered to do it themselves and develop resilience. Importance of economic independence and non-reliance on government/state support (e.g. street economies). The workshop focused on the journey Duncan and Bridging to the Future have taken so far and mechanics of SLAM! model with questions and answers for 30 minutes, followed by having a small group to play a business game (spec: a group of 4 to make a pitch for selling 5,000 spoons to an organiser of a EU event in England happening in a week). A Dutch delegate (young entrepreneur) shared his story with positives and challenges to kick-start the discussion. Duncan then distributed BTFF's leaflet and offered to share other resources. Once you develop a robust core model, you can adapt it into different context (e.g. social enterprise, self employment, etc.) and achieve self-sustainability. The company works with professional experts to help them develop further and move on, rather than telling them what to do. Real business needs to be brought into school for the students to understand what entrepreneurship is in reality. To make your idea/project work, passion is important approach of the challenges (who? why? where? how?). This workshop provided the participants with a common framework, based on Italian context. The act of fostering creativity in film for social change can cause tensions between the different stakeholders involved: between the visionary filmmaker and the social actor or the researcher; and tensions between freedom and control to name a few. Yet, many of these tensions encourage creativity rather than kill it. How can these processes be relevant to social innovation? Main topic: Film producer using the medium of film as a tool for social change. How to foster creativity in project managers, team leaders and entrepreneurs. How to increase impact on humanity with a minimal impact on the planet. How to use film as powerful tool for social innovation. Three examples of Chouette Films work have been presented. Through these three examples the facilitator has been able to show how, in her experience of working on film projects for social change, a creative ideas can often be 'killed' at an very early stage when they are not received initially in a welcoming way. The facilitator then gave examples of ten different ways in which project managers, team leaders, entrepreneurs in general can foster creativity (e.g. Motivational interviewing, listening by reflecting, etc). The work and the tools used for fostering creativity in project managers, team leaders and entrepreneurs. The tools and the strategies used for realizing a film with low impact on the planet. The parable of two seeds' is the most effective sentence for expressing the concepts of the workshop, that means that ideas need time to develop and our role as leaders is not to rush them. A program to promote female entrepreneurship in Morocco including public and private local partners. Main topic: The implementation, success factors and obstacles of an entrepreneurship programme targeting women in Morocco, implemented by APEFE Wallonie-Bruxelles. The main elements of the programme (awareness raising, training, incubators, guidance, mentoring, coaching). The success factors of the implementation of the programme in Morocco. One of the most successful factors was the importance of working with reliable partners on the ground. The local partners need to take ownership of the programme in order to insure its follow-up, independently from the Belgian Institution. The new approach and initiatives to be implemented in the future in order to increase the impact of the programme (e.g. increase the number of partners, digitalise the programme, insure a national coverage instead of a regional one, target men during the promotion of the programme, promote social entrepreneurship as well). The workshop consisted of a presentation of the programme followed by an interactive session with the attendees. The exchange of experiences and practices on the topic of female entrepreneurship was encouraged by the workshop leader. The purpose for that was to provide a comparative overview of female entrepreneurship programmes in Europe and its neighbouring regions and to get inspired by other successful practices. The similarities and differences in the conception and implementation of female entrepreneurship programmes in Europe and Morocco. Boboto promotes activities oriented towards the worlds of education, social inclusion and social innovation. The most important current project of Boboto is "MONTESSORI 3D", that wishes to maximize the use and inclusiveness of Montessorian pedagogy in all educational contexts. The project aspires to reproduce Montessori material through 3D printing, laser cutting, and other technologies. The use of Montessori approach into traditional education environment. Reproduce tools to make them affordable to public education, teachers and families to promote inclusion. The idea of open source, the production of learning material adapted to the learning needs, the possibility to get private and public sponsorship to develop the idea. The approach itself was a practical application of social innovation and entrepreneurship. The field visit was also quite interesting from the technical point of view as we could see first-hand how the material was produced with laser-cutting and 3D printers. A point for improvement could be a deeper explanation of the social elements behind initiative. Nevertheless, some participants asked questions and we got to know the issues of inclusion and how the CEO became involved in this project. OFFICINA CREATIVA s.c.s. is a non-profit company active in the rehab and reintegration of disadvantaged people. Through the products of the “MADE IN CARCERE” brand, Officina Creativa promotes the philosophy of the “second chance”: another chance to women and a new life to fabrics and objects. In the prisons of Lecce and Trani the female inmates make bags and accessories using waste and recycled fabrics. Diversifying activities with social added value. Officina Creativa is innovative from a a social point of view (giving a second chance to stigmatized people) as well as from an economic perspective (using free social media and recycled fabrics). Officina Creativa finds a perfect balance between pursuing social goals and economic development in order to hire people and diversify its activities. Social added-value and economic development (business aspect) are the main priorities of social and innovative entrepreneurship. During the visit the participants will discover the opportunities given by SELLALAB (a spin-off of Banca Sella Group) to the region.Create a Network with multiple players, incubate but above all innovate through people and startups. During the visit the participants discovered the opportunities given by SELLALAB (a spin-off of Banca Sella Group) to the region. Create a Network with multiple players, incubate but above all innovate through people and start-ups. Two innovative start-ups have been presented, directly by the two young people run them. All the path from the idea to practice has been analized and we could have a direct experience about the connection between all the parts involved: young entrepreneurs, incubator, investors, community. The benefits of the incubator experience are direct and practical; the young people are free to explore the better way to reach their goals, with the support of the incubator, but with no pressure about the economic output. The investor is really involved in the process and could directly check what the entrepreneurs are doing and what kind of solutions they can find through its support and cooperation. The community the young people come from is involved in their personal and professional development. How to engage with everybody in the area so that they feel they own the space and make it nice and useful to them through their contributions. Luna is doing it legally - currently a cultural association but now looking into turning a part of the operation into a cooperative in order for the activities to become sustainable. Be clear about your core values (in Luna, it is about being a hub of a community where everybody can run their projects and application of traditional/ancient methods. Ask everybody in community what they want to use the space/centre for. Be open to people and individual ideas and integrate them under an over-arching vision. I think the participants enjoyed very much finding out about the activities and their approaches, values and challenges in situ. 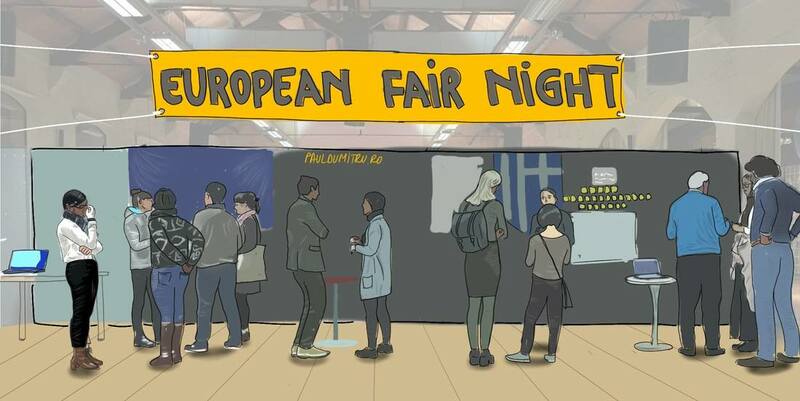 The visit will show the “EUProjectHub” model of social innovation: it gives youth organizations the opportunity to write European projects in a more efficient and sustainable way; they will therfore have more chances to obtain funds for the implementation of their activities. The participants will discover our organizational and business model through a workshop about how to implement the model in their local reality. STAISINERGICO is a coworking space that enhances regional values, creates employment and educational opportunities. During the visit we will first go to Alliste (LE) where there is a “synergistic gardening” created by Staiterraterra, an association born after the meeting of Jolanda and Fabio, two members of Staisinergico. After this, we will go to Racale to visit our headquarters. During the visit were discussed ideas for the preparation of joint projects. Participants exchanged addresses and we agreed to continue the exchanges. Description: Goldfinger Factory: a design, build and teaching platform centred around up cycling to create furniture while helping artisans and artisans-in-the-making become self-sustaining through craft and in turn saving materials from landfill in one of London’s most deprived yet wealthiest areas. Description: My organization and the work we do, to show our projects and how we contribute to the less fortunate places to get what is in their need, like opening Youth centers, employment of local citizens to look after the elderly or opening Community center for disabled people. Description: ‘DEMOSCOPIO’ engages the stakeholders of the city in open dialogues, based on the methodology of Structured Democratic Dialogue, to resolve complex issues with consensus. Consulting to new ideas and keys how to become a viable business. Workshop of a Dialogue Game using our software ‘Logosofia’. through a cooperative enquiry, we questioned our five-year experience with Mesaha - activists’ enabling space in Cairo, to highlight five layers of interdependent meanings about the significance of such kind spaced to social activism. Description: ADP-Zid is leading applicant for YOUSEE! Platform for Social Innovations in Youth Employment (www.youseefor.me). YOUSEE! is a regional project and response to youth unemployment in Albania,Bosnia & Herzegovina, Kosovo, Montenegro, Macedonia, Serbia and Turkey, through research and social innovation testing. Start by empowering the people and help them believe that they can do it that society needs their skills that they can make a change to society and themselves. The family can be an important role in this phase. 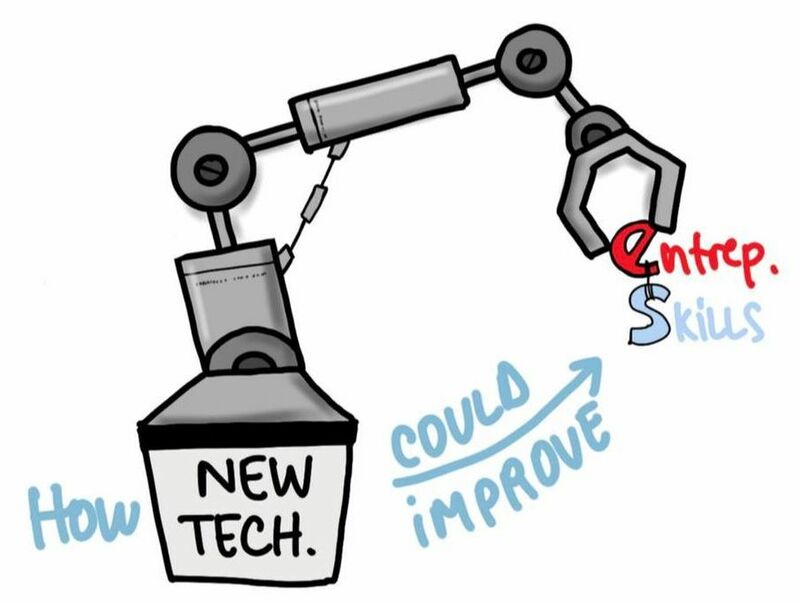 Change the way we teach, move away from academia and focus more on the practical work. Help people engage in fun and motivating projects which will entice them to learn more and do what they love, do things that makes their brain work and what makes their body and mind get out of their comfort zone. A learning and motivational model is required, this created by the suggestions of these people together with professionals while including Gov and EU funding to help this flourish. New youth work proposal under KA 1. Possible job shadowing project to follow as partnership working develops. Conclusions - Next StepsMore contact to be made after this forum. 1 - The interest of self-growing as a starting point of entrepreneurship promotion programs. 2 - The different ways of considering entrepreneurship concept (economical, social). 3 - The necessity of are always in contact to social reality and evaluating future necessities in order to implement it in entrepreneurship training. 4 - The importance of impact evaluation as a basis of a program improvement. 5 - The importance to make the impact evaluation from the point of view of young people (not about the impact of economic or material results, nor about the impact in the promoting organisations). 6 - The necessity to select a limited number of capacities to be monitored. 7 -The difficulty to select the most important items in the design of the impact measure engine. 1 - To use forms from organisations or enterprises that recruit by competences as inspiration source to design the measure methodologies. 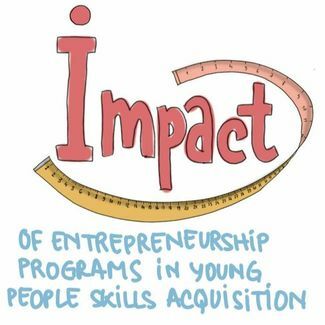 2 - To involve young people in the design and implementation of impact measure activities. We encourage the interested organisations to design an engine to measure impact of entrepreneurship programs in young skills acquisition and to share with everybody involved in this matter. - Free ourselves from old ideas and theories. Cooperation is more of a mentality and a practice. 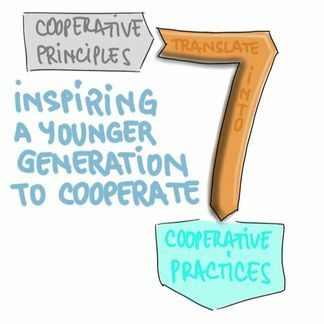 - A useful start was made translating principles into practice and the Young Co-operators Network will continue to work on this. ​​#How can we engage young innovators in trade unionism? 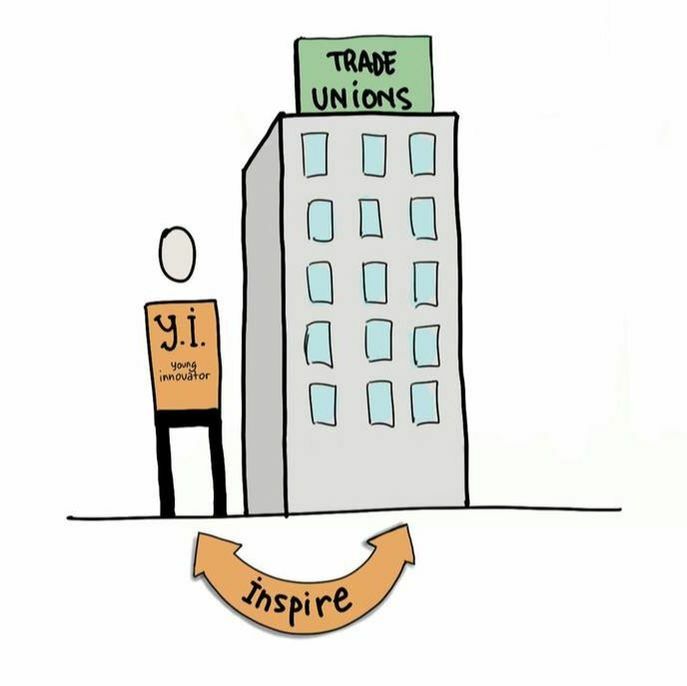 What are the benefits of engaging with trade unions for social innovators? Topics discussed included increased productivity, happy workforce, supported staff, supported management, risk mitigation against industrial tribunals, risk mitigation against contract breach, support for the company in terms of getting policies and procedures right. 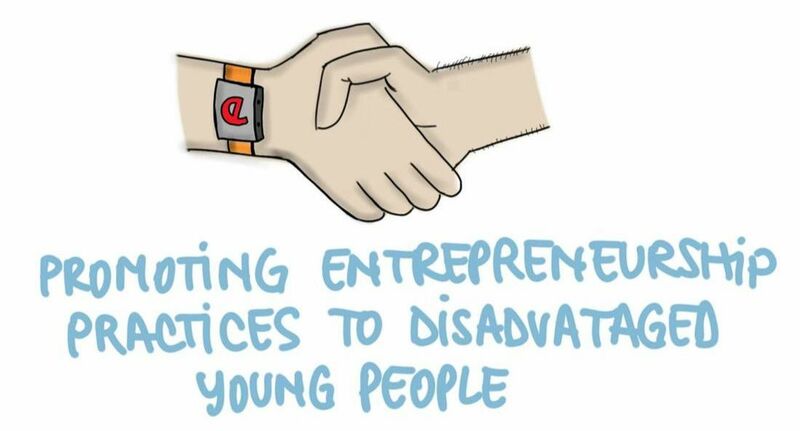 Why do young innovators not engage? Topics included a fear of radical action against the company, concerns over negative stereotypes. How can we engage young innovators? Topics discussed included working with universities and colleges, inspiring employers, competitions to solve problems and clearly communicating the benefits to young innovators. The debate resulted in a clear vision that partnerships should be created between trade unions and universities, colleges and schools to communicate the benefits of trade union membership for social innovators prior to hem establishing their businesses. Communicate the above message to a range of trade unions and educational establishments. This may be done in the UK via existing links to national trade unions (PCS, Unite in the Community etc) and educational establishments. During the discussion expressed their views - particularly by the representatives of Turkey and Jordan - that feel discrimination in European policies and opportunities to build European projects-particularly in the current situation in Europe. New ideas?They expressed ideas - to seek ways of involving migrants and refugees to European culture with special projects and training, to promote mutual understanding and cultural meeting. Developing training programs to overcome cultural differences - as a way of fighting discrimination - especially in young children and students. Develop training courses for profession - for immigrants and migrants, refugees - to overcome discrimination in education. Development of language courses - migrants and refugees to help them quickly adapt to the culture of the city, the locality in which they are established to initiate children to attend school and parents to have jobs. Do not weigh on the budget of the European Commission - themselves made their money and take care of their families. 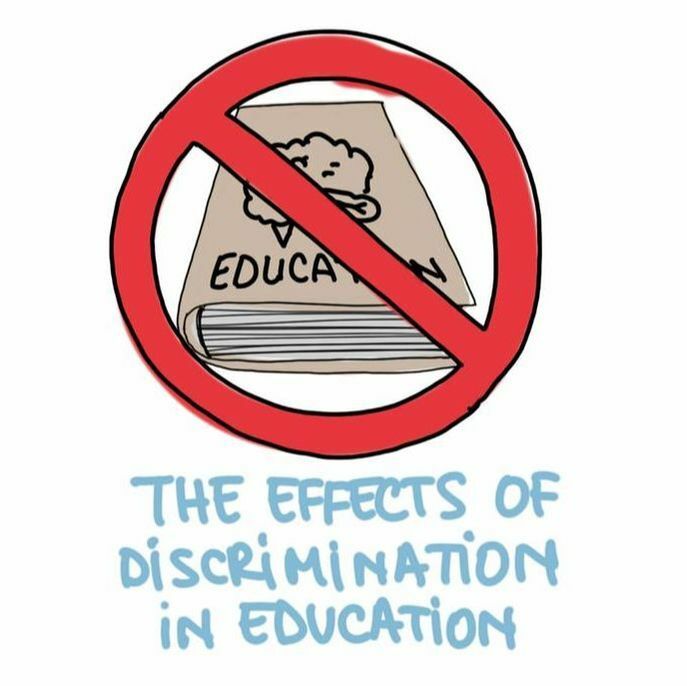 - To organize more training for overcoming discrimination - especially in schools and educational institutions. - To organize interlanguage and intercultural courses to help understand the specifics of the new culture of the ethnic groups that come in Europe. The session was an opportunity to get participants acquainted with the new trends in the labour market, the drivers of those tendencies, their expected impact and how the so-called competences for employability will dramatically change in the near future. Frederik (Denmark) and Tucci (Italy) played an important role in the activity sharing their professional experiences on incorporating IT competences into educational curricula. Participants agreed on the need of adapting our educational systems (both formal and non-formal) to the expected changes. 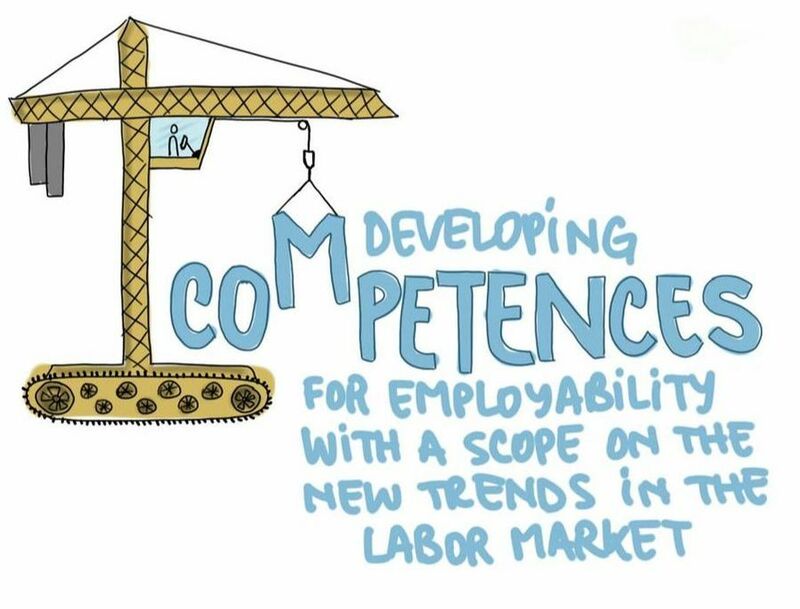 Non-formal education can play a significant role on developing the new set of competences among young people. Collaboration frameworks were discussed among the participants and key resources as 21st Century Skills and ESkills for jobs were shared. What was discussed? 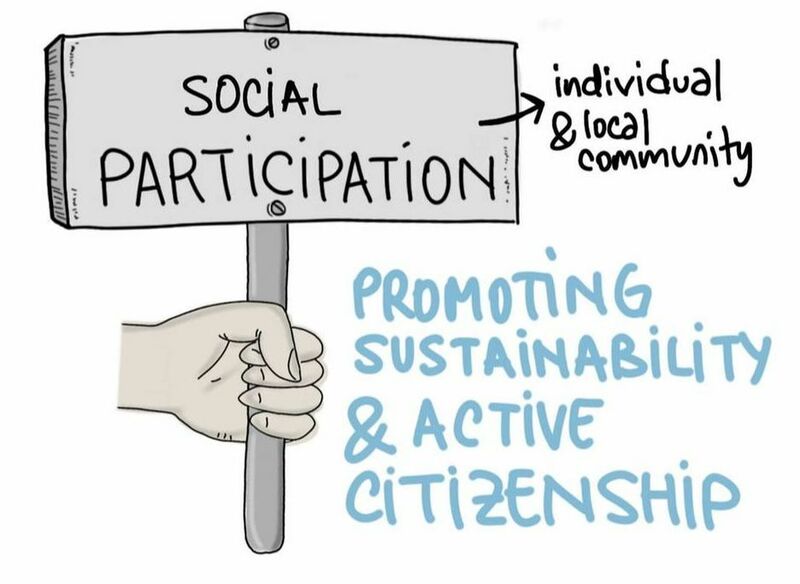 Strategies to promote sustainability and active citizenship at individual and local level. Two initiatives were showcased to the participants in the workshop: Yo Actúo and 90 jours soyez la change climatique. Both of them promote sustainability and active citizenship at individual and local level. Moreover, the participants also shared useful resources in the field of sustainability. Two participants showed their interest to implement the YoActúo model into their countries and consequently the first steps of a long-term cooperation were established between the parties. In addition, the participants got acquainted with the main management tools used in the project. We presented our idea about using NT as tool to implement or teach new competences aimed on entrepreneurship. The most important thing is to know that we have to be focused on the process having a look on the final products. 3: Mathematical competence and basic competences in science and technology. Some participants showed interest in future collaborations. At the end we thought to launch a call on KA1 first to create an informal network (then it could become formal) between France, Italy and some other countries. We will work around it for the first deadline on February 2017. TCPcommunity.eu is funded by the “Erasmus+” EU programme. ​This website does not necessarily express the official views of the European Commission or the organisations and people cooperating with the ‘Erasmus+/Youth’ institutions.